C.I.S. 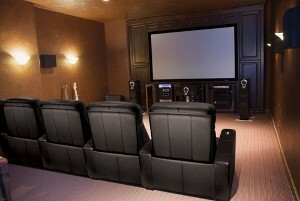 - Charlotte's Home Theater Company! All you really need to have a home theater are speakers, some basic audio/video equipment and some popcorn. 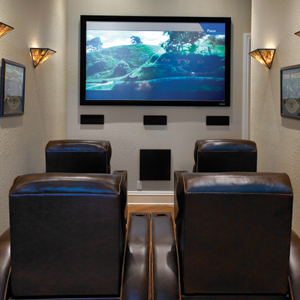 Getting a basic home theater system into your house may be far simpler than you think. You just need to understand what the basic components are and match them to your budget and performance needs. 1. A video display can be any size or style you want, as long as it’s big. For an immersive experience, we generally suggest a screen of at least 50 inches (measure diagonally), but smaller screens may make sense in some rooms. Your display will, of course, be high definition, and mostly likely 1080p resolution, though some 720p resolution TVs are still available. When you’re planning your theater, a guideline for display size is that the viewing distance (the distance from you to the screen) should be 2 to 3 times the width of the screen (actually width, not the diagonal size). 2. A video display can utilize one of several technologies such as plasma, LCD (liquid crystal display), DLP (digital light processing), LCoS (liquid crystal on silicon) or some others. All of these technologies have their pros and cons, but all can create a home theater-quality picture at a variety of budgets. 3. The type of video display you choose will depend on your budget, how you intend to use the display and the space where you plan to enjoy your home theater. There are lots of options, but your selection will be made easier if you know what you’re seeking. 4. Think 3D. Stereoscopic, or 3D, started getting serious attention last year, and this year that attention is even greater. A 3D TV truly separates a home theater from simply a television as it adds one more element that, until recently, was unique to commercial theaters. Plus, all the technology that goes into make a TV 3D, also happens to make it an even better 2D TV for conventional viewing. 5. A home theater’s surround-sound system consists of five or more speakers, with three in the front near the video display and at least two on the sides or at the back of the room. 6. The three front speakers do most of the work to produce sounds that correspond with the action on the screen. Two speakers, called the front left and right channels, are typically placed on either side of the video display. 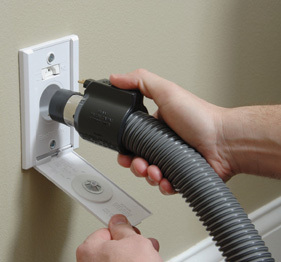 A center-channel speaker is often placed above or below the screen. Two or more speakers on the sides or rear are referred to as surround speakers. Additional rear speakers or even height-channel speakers can create an even more realistic impression on the audience. 7. The center-channel speaker is the most important loudspeaker in a surround-sound setup. This is because it reproduces a great majority of the sounds you hear in a movie soundtrack, including all of the dialogue. You’ll want to hear every word clearly and feel as if the dialogue is coming directly from the actors’ mouths. 8. The role of surround speakers is to convey ambient sounds, such as background noises, rumbles or passing cars or planes. These speakers help fully immerse you in a movie. The surround sound speakers generally shouldn’t be too obvious to the listener, so don’t crank them up too loud or the effect will be unnatural. 9. There are several surround speaker options. You can have two speakers, one on each side of the seating area. You can have three speakers, with one on each side and one in the back, allowing you to better hear the effects of movement such as that of a passing car or a train or airplane. You can have four speakers, with two on each side. Or you can have even more speakers. It’s really a matter of how far you want to go. 10. Specialty speakers called subwoofers produce low bass sounds so you will hear the full impact of sound effects such as explosions or the roar of a jet engine. 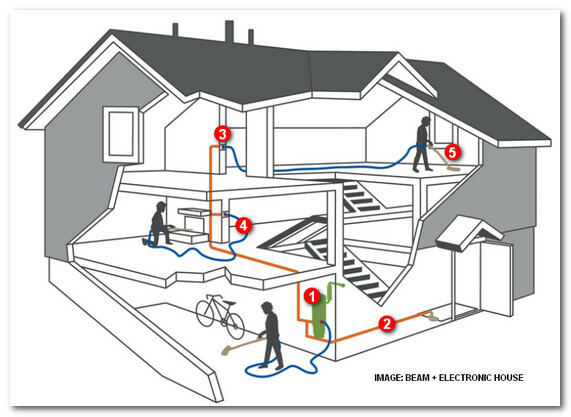 Subwoofers can be placed virtually anywhere. People often put them in a front corner, behind a plant or a table or even under a couch. Subwoofers are not full-range speaker channels, meaning they only produce a fraction of the sounds you hear. In surround-sound parlance, subwoofers represent the “.1” in 5.1, 6.1 or 7.1 systems (5.1 meaning the basic surround-sound setup of five speaker channels plus a subwoofer, 6.1 meaning six channels and a subwoofer and 7.1 meaning seven channels plus a subwoofer). 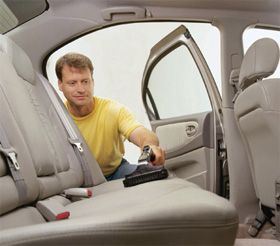 Multiple subwoofers can also be used. 11. To get sound to the speakers and video to the screen, you’ll need switching and processing components like a surround-sound receiver or a controller and amplifier. Receivers contain amplifiers, precluding the need for a separate amplifier, though for higher performance you may opt for a separate surround-sound controller and a power amplifier. Look for a receiver with multiple HDMI inputs (version 1.4 is the latest) for all your sources. Additional features such as iPods connectively, Internet radio, DLNA, multi-zone and audio calibration systems can add to your home theater’s functionality and ease of use. 12. Sources for all Tastes. Well, of course you’ll want something to watch, right? For most people, the two most fundamental sources will be a TV tuner (cable, FiOS or satellite box) and a Blu-ray player. Other great sources for home theaters include gaming consoles and web media players (such as Roku and similar products). Many Blu-ray players or TVs include built-in web-based services such as Netflix, Vudu and Amazon Instant Video. Custom Installation Services, LLC - ”We may be a few dollars more than the competition, but we are a million times better”.